As the tattoo art form continues to evolve and grow in popularity, knowing what to do about unwanted tattoos is becoming more and more crucial for tattoo artists. Despite the enormous artistic growth in tattooing over the past two decades, there still seems to be a fundamental gap in understanding what coverup tattooing is all about and how to avoid making dark, dense, obvious coverups. Everyone knows that coverup tattooing can be a real pain, but think about how many clients walk in the shop with some small crummy tattoo that they want transformed. With the right approach, not only can you add a beautiful piece to your portfolio but also gain a whole new list of clients who are ready to move up to bigger work. 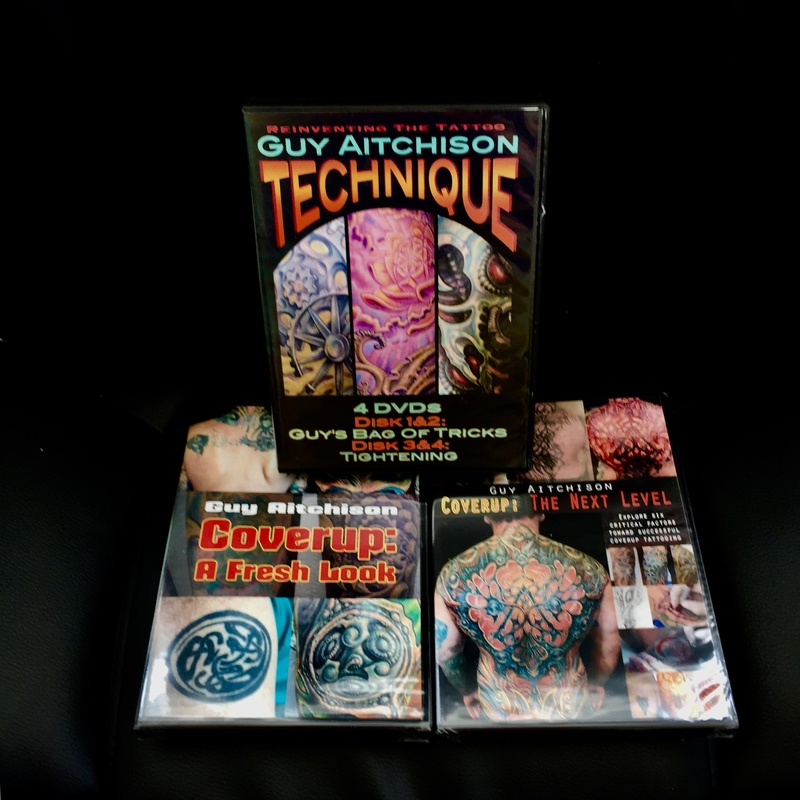 In Coverup: The Next Level, noted tattooist Guy Aitchison delves into his 30 years of tattooing experience along with that of a variety of contributing artists to show you just how far the art of coverup has evolved, and how you can become a master at transforming unwanted tattoos. The tutorial uses both still images and video to share the inner details of the design, execution and healing of a variety of coverup projects and provides a foundation for you to take this very valuable step in your tattooing career. Also available in a discounted package with Aitchison's other coverup tutorial, Coverup: A Fresh Look.